Back in Brown with Aasif Mandvi. Why Are American Health Care Costs So High? The Black NRA. After Tiller: Documentary. Copenhagen Metro Peer Gynt Flash Mob. 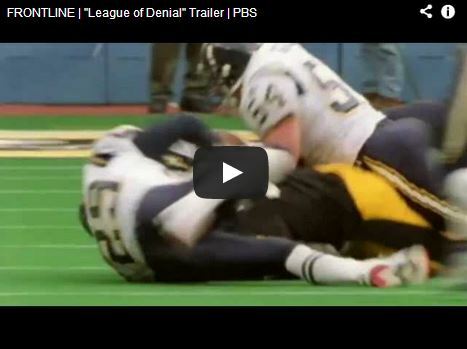 NFL: League of Denial. An Indian-American wins the Miss America crown, and Aasif Mandvi explains what this means for the rest of the country. Why the United States spends so much more on health care than any other country in the world, including spending more tax dollars on health care than Canada, the UK, or Australia. The NRA is finally putting guns into the hands of those who need them most. After Tiller explores third-trimester abortions in the wake of the 2009 assassination of practitioner Dr. George Tiller. The procedure is now performed by only four doctors in the United States, who risk their lives in the name of commitment to their patients. The Copenhagen Philharmonic surprises the passengers in the Copenhagen Metro with a flash performance of Grieg's Peer Gynt. The NFL presides over America's indisputable national pastime -- and an epidemic of long-term brain injuries. What did the NFL know, and when did it know it? A special two-hour investigation reveals the hidden story. Oct 8 on PBS.